Home 5 Towns Community New Shira Superstars Sunday Program is Filling Up Fast! New Shira Superstars Sunday Program is Filling Up Fast! After Camp Shira’s super-successful inaugural summer, campers were clamoring for more! Luckily, Shulamith and two of the camp’s popular directors, Mrs. Adina Hoch and Mrs. Rochel Lapidus, felt the same way! Shira Superstars, a dynamic new Sunday program, was launched after a lot of planning and after seeking feedback from parents and children alike to see what the community-at-large desired out of their Sundays. The result is a skills-based program with adult instructors where participants register for the classes they want! Due to popular demand, the program is geared for girls from nursery through fourth grade and for boys from nursery through pre-1a. Every two grades is another age group to ensure that the specialties are targeted to each group and designed to build their skills. Every participant is able to choose the two classes they want to enroll in out of four options. Generally, they can pick one movement class (like Zumba or ballet) and one art class (like food art or canvas painting). The boys enjoy a choice of sports or karate with Sensei Meir Breuer, a beloved local sensei who teaches karate in a wholesome, non-aggressive way. For their other class they can select crafts or food art. The nursery class enjoys art and gymnastics each week. The three girls’ divisions enjoy their own targeted options, such as the theater class for third- and fourth-graders where they work on drama and choir skills, culminating in the girls making their own music video. That class is already nearly full! The first semester is eight weeks long and the second semester is ten weeks long. This enables participants to select new class options for the second semester or keep developing skills in their favorite classes. The program starts on October 7 and over 100 children have already registered for the full 18-week program! Space is limited and going fast! Each Sunday, the program runs from 10 a.m. to 12 p.m. The participants enjoy the two classes they registered for and then lunch is served. Finally, there is a way to enjoy camp during the school year! 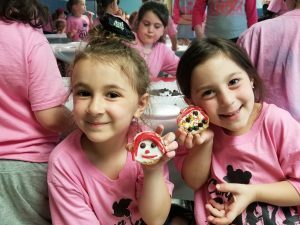 Even if it is just for two hours per week, Camp Shira’s campers and many other children from across the Five Towns are excited at the chance to continue the fun all year long! 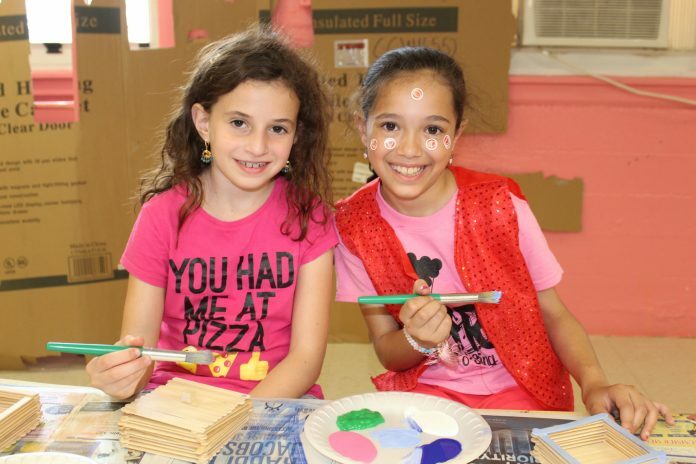 Don’t miss out on your chance to join Shira Superstars — the program where every child is a star! For more information, email shirasuperstars@gmail.com or text 516-456-8392. To register, visit campshirany.com/superstars.